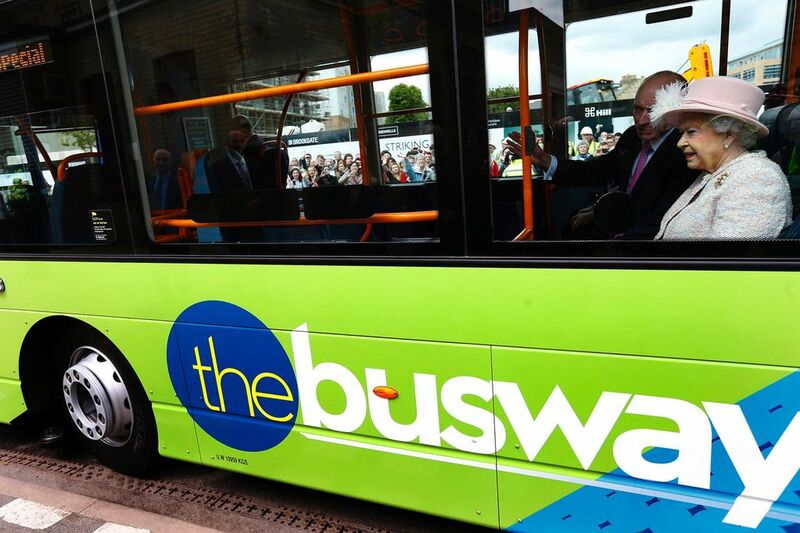 The Queen shows she’s just like the rest of us – by turning up late for an event after taking a bus. Her Majesty and the Duke of Edinburgh arrived in Cambridge by scheduled train today before boarding the single decker to travel though the city. Locals were delighted at the royal gesture – but the magic didn’t rub off on public transport timekeeping. The monarch arrived 15 minutes late to open a £212million lab for a leading medical research institute.